SHIM and Associated Maps – Collected by Project Watershed’s Technicians using GPS/GIS and a standardized assessment methodology called SHIM methods; these maps and reports document accurate watercourse and wetland locations, salmon and trout presence and habitat conditions. Digital copies of these maps can be found on our Maps and Reports page. Research and Assessment Reports – The reports/results of our 2010 restoration, rehabilitation, research and assessment fisheries related studies on the Puntledge River Watershed and the K’omoks Estuary are available on-line. Additionally our Baynes Sound Foreshore Stewardship (2001-2002) Program materials are available at the Project Watershed office. The detailed maps and inventory of the Baynes Sound area provide information to facilitate the protection of sensitive stream, wetland, and foreshore habitats, through the application of local government bylaws and landowners’ voluntary stewardship commitments. Digital copies of these reports can be found on our Maps and Reports page. Our mission is to provide a service for collection, storage, and dissemination of environmental information through digital and hardcopy maps in order to guide local government, community members, developers, industry and environmental groups in better decision making for environmental use and stewardship. Contact Caila Holbrook, our Mapping Coordinator. Contact Caila Holbrook, our Mapping Coordinator, to rent the items listed above. Our conservation archives house reports and information pertaining to environmental issues within the Comox Valley. We have reports conducted by local governments, consultants and NGO’s some of which are not generally available. Visit the Library to see if we have the information you are looking for. 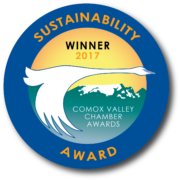 Containing contact information and brief descriptions of environmentally related Comox Valley NGO’s, industry and government agencies, this publication is intended to encourage communication between agencies, community groups, “green” businesses and concerned citizens. Follow the link to visit the Watershed Directory last updated in 2008.